The Government of Burundi has declared Gitega as the country’s new political capital with effect from 23rd December 2018. Bujumbura, the previous capital of Burundi, will serve as the economic capital of the country. President Nkurunziza had made this promise of shifting the capital in 2007 which has been implemented now. Burundi Government has decided to hold future Cabinet meetings in Gitega and to establish five ministries in Gitega from the start of 2019. Gitega’s population is around 30 000 as compared to Bujumbura’s 1.2 million. 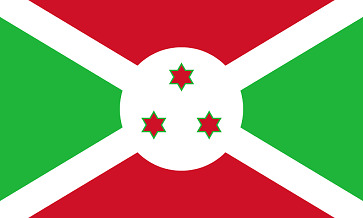 Burundi is a resource-poor, underdeveloped landlocked African country which shares its borders with Rwanda in the north, Tanzania in the east and south, and the Democratic Republic of the Congo in the west. Burundi gained freedom from colonial rule in 1962. The political system of Burundi is that of a presidential representative democratic republic. About 85% of the population of Burundi is of Hutu ethnicity, 15% are of Tutsi origin and less than 1% are Twa. Burundi has extreme levels of poverty and rampant corruption. Burundi was ranked as the world’s least happy nation in the World Happiness Report 2018.